Product information "Wolf stein with moon scene, in antik painting"
A Wolf themed stein with a moon scene, very nicely done. "call of the wild"
Great yipping Wolf figurine on the of the pewter lid. 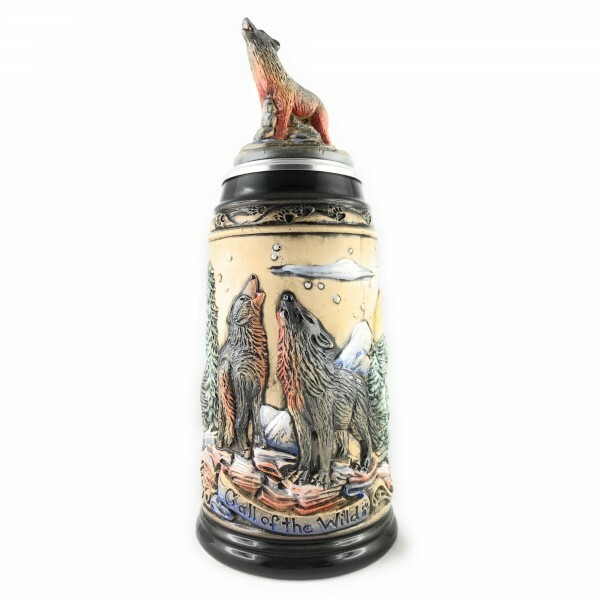 Great german ceramic beer stein. Related links to "Wolf stein with moon scene, in antik painting"
Customer evaluation for "Wolf stein with moon scene, in antik painting"